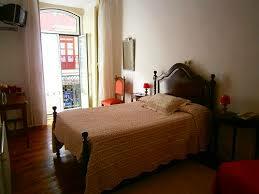 Accommodation in Portugal is good value compared with other western European countries. All accommodation recommended on this website has been visited by us or we have personally stayed there. 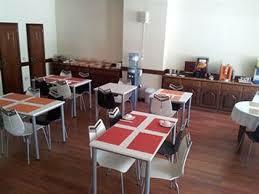 All have air-conditioning, TV, free Wi-Fi, and en-suite bathrooms (except some hostel accommodation). Some hotels are small and basic but clean and very comfortable. Breakfast will be included in your price. It tends to be continental style with a substantial choice of fresh local produce. Hotels are all classified with two to five stars. They can vary from old buildings with plenty of character, sometimes with owners to match, to top-notch, stylish, luxury resorts. Most are very central and we will do our best to get you your requested hotel. However, Tomar can be a busy place at holiday times, e.g. Easter, so it is better to book with us as early as possible.There are two 4* hotels in Tomar with all mod cons. This includes air-conditioning, cable/satellite TV, free Wi-Fi. The historic Hotel dos Templarios in the centre of the city has a swimming pool and gymnasium attached. Villas are available for rent, from basic one-room studios to five or six bedroom houses complete with grounds and pool. We can find you a suitable place, though the best places are often booked up months in advance. They are mostly outside the city of Tomar in the countryside. Hostels are a growing trend for accommodation. Most offer double/twin rooms as well as dorms. Some of the new boutique city hostels are very classy indeed, such as the new Hostel2300 Thomar. Some hostels are basic but they are all in convenient locations for sightseeing or outdoor activities. As well as dorm beds, you can often get larger family rooms, and even en-suite double rooms. Check out our links below for accommodation choices. We can arrange various types of accommodation to suit your budget or group, just ask. Choose from 2*, 3* or 4* Hotels, Guest Houses, Town Houses, Hostels or even a Villa. Prices are seasonal but we will do our best to get you the best value we can. In that case we will discuss with you suitable replacements. Breakfast is included in your overall price. Below are links to some of the accommodation choices. ​We will endeavour to get you the best group discounts.